What is the Harvard Climate Justice Coalition? 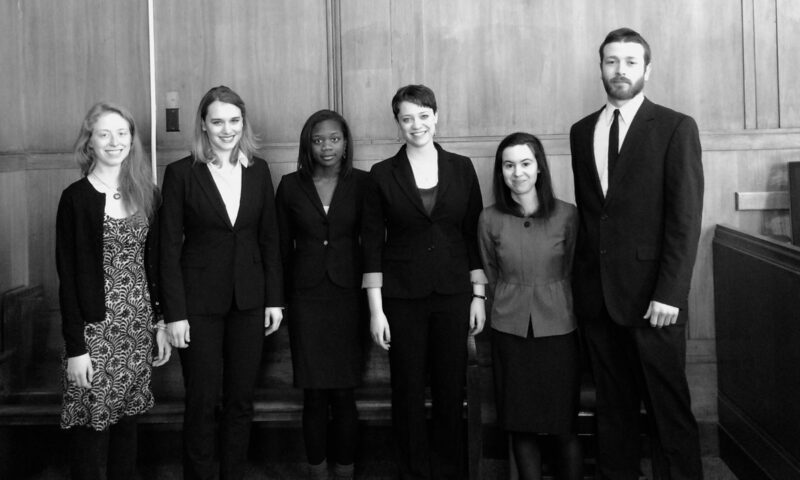 We are a group of Harvard students who believe that our institution has a responsibility to refrain from financial support of fossil fuel companies. We are undergraduates, law students, and a graduate student from the school of engineering and applied sciences. Are you part of Divest Harvard? We are members of Divest Harvard but have formed a separate group for this project. We are not acting on its behalf. The dangers posed by climate change are so serious and so immediate that Harvard’s investments in fossil fuel companies amount to a breach of its duties as a nonprofit corporation. Those investments harm students and future generations. What are you trying to accomplish with this lawsuit? Harvard should use its influence to create a more just and equitable world. Fossil fuel extraction has no place in that world. Harvard could play a special role in the effort to combat climate change—but, at the very least, should not obstruct it. From a legal standpoint, we’d also like to establish that students have legal standing to hold Harvard accountable when its actions affect them. Why are you suing directly? Isn’t the Attorney General the appropriate person to do this? We have a special interest in the Harvard Corporation’s investments insofar as that they threaten our educational well-being and the future health of the university, so we’re bringing the action on our own initiative. We encourage the Attorney General to join our effort. Doesn’t this mean that people can sue investors for anything they don’t like? No. Our claims are applicable only to institutional investment in activities that cause climate change. They are also circumscribed by the circumstances of this case, which include pre-existing legal duties and an awareness on Harvard’s part of the consequences of its investments. A court could limit our claims’ applicability still further. Isn’t a lawsuit a little drastic? Sea level rise and coastal erosion are drastic. The refugee crisis is drastic. Superstorms are drastic. In such circumstances, legal action is warranted. Lawsuits are especially appropriate when other avenues have failed. Students, alumni, and faculty have spent years attempting to engage Harvard in an open debate about fossil fuel divestment, to no avail. Do you really have a chance of winning? Yes. Courts have been slow to address global warming, but this may be changing. What precedent is there for suing a nonprofit? Among many other examples: In 2009, trustees of the Rose Museum at Brandeis University sued the university over plans to liquidate the museum collection and use the proceeds for other purposes. The parties reached a settlement keeping the museum open and obliging Brandeis to obey the original intentions of museum donors. In 1974, patients successfully sued a non-profit hospital in D.C. for breach of trust after its directors had invested hospital funds in financial institutions in which they had personal financial stakes. In 1998, the Parish of Jefferson in Louisiana successfully sued a non-profit park foundation that was spending money on activities other than the maintenance of the park. The court ordered the foundation to focus its spending exclusively on park maintenance. If you don’t win, what do you hope to get out of the lawsuit? We hope our lawsuit will galvanize climate activists on campus and elsewhere. It’s past time for the world’s most powerful institutions to take proactive measures to address global warming. Our complaint lays out the legal and moral arguments in favor of divesting from fossil fuels, and we invite the courts and the public to debate the merits of those arguments. Beyond that, the legal system is evolving and must evolve in response to climate change. At the very least, we hope to prod that system in the right direction. Why are you suing Harvard and not companies like ExxonMobil? We have a right to enforce Harvard’s educational mission when the Corporation fails to do so. There are many companies and institutions complicit in the climate crisis. But we’re not ExxonMobil shareholders; we’re Harvard students, and we’re uniquely positioned to hold Harvard accountable. President Faust says that engaging with fossil fuel companies as a shareholder is preferable to divestment. What is your response to this argument? First, Harvard hasn’t been doing this. Second, it isn’t effective. Institutional investors have tried for years to convince fossil fuel companies to change their behavior, but those efforts have failed. At this point, there’s no time left. The climate crisis demands immediate and decisive action. President Faust says that Harvard manages its endowment so as to ensure the best financial return and that academic institutions should avoid making investment decisions for political reasons. Why do you disagree? Harvard has divested in the past—from companies doing business in South Africa in the 1980s, from Gulf Oil, from Darfur, and from tobacco companies. Harvard’s fossil fuel investments are just as political. They are also inseparable from Harvard’s broader educational mission. By funding climate destruction, Harvard strays from that mission. Why is investing in fossil fuels unethical if we all depend on them? Doesn’t this dependence make fossil fuel divestment different from past divestment campaigns? Not really. People don’t have a choice when it comes to using fossil fuels. And that’s no accident: The fossil fuel industry and its supporters have waged lobbying and disinformation campaigns for years. Shouldn’t individuals change their behavior to deal with the threat of climate change? Why pick on Harvard? We all have an ethical obligation to do what we can to address global warming, and if individuals can change their behavior, they should. But shorter showers aren’t enough, and most individuals don’t have a meaningful choice about whether to use fossil fuels in their daily lives. Powerful institutions can do much, much more than individuals, in part because of the influence they exercise over other institutions and decision-makers. How do other students feel about this campaign? We don’t purport to speak for all students. But the international fossil fuel divestment movement is growing rapidly, and our generation increasingly refuses to stand on the sidelines. 72% of Harvard students support divestment.